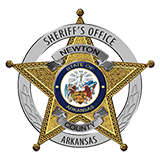 Sheriff Keith Slape would like to warn the citizens of Newton County concerning phone calls about winning large amounts of money. When officers called the number the person that answered admitted he was a scammer but would not give any information. The phone call states you have won a large amount of money or a car, and may ask you to send a processing fee. The phone number is 1-876-451-8519. Please ignore or hang up if this number calls you.